Russia’s permanent representative to the United Nations, Vitaly Churkin, has died suddenly in New York, the Russian Foreign Ministry said. 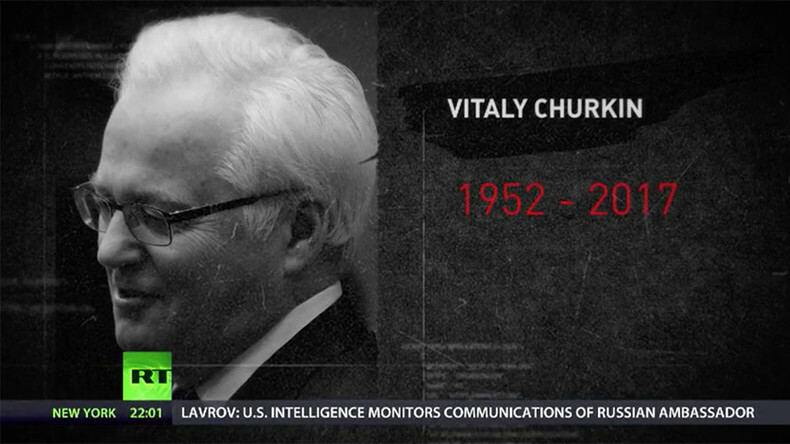 The cause of Churkin’s death has not yet been released. RT readers have been sending messages to pay tribute to Vitaly Churkin and express condolences to his family. “Mr. Churkin was the consummate diplomat and a great representative of the USSR and the Russian Federation. I remember hearing Mr. Churkin many years ago when he was a very new diplomat at the USSR Embassy in Washington DC. doing phone interviews. He answered questions about USSR and US relations a number of times on a Miami Fla. radio station WNWS, Radio 790 on the Al Rantel Show. He was bright and intelligent then, so I wasn't surprised when he was appointed Russian Ambassador to the UN,” wrote a reader named Joseph. “My thoughts and prayers to his family and the people of Russia. If I were going to battle or debate, he would be on my shoulder,” wrote another reader. Swedish Foreign Minister Margot Wallstrom expressed her condolences over Churkin’s death, at a press conference with her Russian counterpart Sergey Lavrov. "I would like to offer my condolences over the death of [UN] envoy Vitaly Churkin and the death of Alexander Kadakin, formerly an ambassador in Stockholm [who died on January 26, 2017]. They were both extremely skilled diplomats and excellent representatives for Russia," she said. 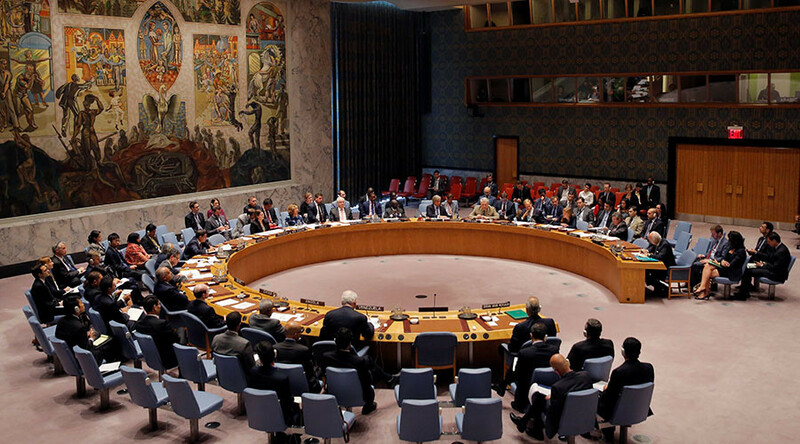 The Ecuadorian Representative to the UN, Horacio Sevilla Borja, referred to Churkin as a skillful diplomat who always stood by the core principles of the UN. Russia’s permanent envoy was “one of the greatest” diplomats in UN history with an outstanding knowledge of the organization and “it will be very difficult to fill his shoes,” Jeremic told RT. Churkin’s death is a “loss to the UN and world peace,” he noted. Condolences have also arrived from the UN Secretary-General Antonio Guterres, who praised Churkin as an outstanding diplomat. "Despite we served together for not so long, I very much appreciated the opportunity to work with him, and I will be greatly missing his insight, skills and friendship," Guterres said, as quoted by TASS. The former EU ambassador to Russia, Vygaudas Usackas, commended Churkin’s diplomatic skills as that of the top class diplomat. “My prayers with his family. We may have disagreed, but he was a high flyer,” he wrote on Twitter. — Vygaudas Ušackas (@Usackas_V) 20 февраля 2017 г.
Jamie Shea, NATO’s Deputy Assistant Secretary General for Emerging Security Challengers, praised Churkin’s record as Russia’s ambassador to NATO, where he served from 1994 to 1998. The US ambassador to the UN, Nikki Haley, highlighted the deceased diplomat’s professionalism as she conveyed her condolences. “With Ambassador Vitaly Churkin, the Russian Federation has lost one of its most eminent diplomats,” Mogherini said in a statement, stressing that Churkin had played a "leading role" in the UN Security Council for over 10 years and was “an important interlocutor” on many issues of key importance to the EU, UN and Russia.